Where do you start with Estate Planning? I previously wrote on 4 reasons why estate planning isn’t just for the top 1 percent, but you may be asking where to start with estate planning. Estate planning allows you to pass your assets and properties to the people you want, appoint guardians for your minor children, and prevent confusion and disputes among your beneficiaries, among other things. There are many reasons to have an estate plan. Ask yourself if you want to choose who will raise your minor children or whether you want to put aside protection for your adult special needs child or whether you want to minimize estate taxes or whether you want to describe your wishes for funeral arrangements and expenses. I’ve heard many concerns over the years and they are all valid. This one isn’t too difficult, but it can be. Your assets will include things like real estate, investments, and insurance policies. But, it also includes things like business interests and digital assets like your Facebook account. These are the people or organizations, like a charity, that will receive your assets after your gone. There are many good reasons to have an estate plan, but there is no valid reason for being without a Will. This is the person who is going to be taking care of these things when you are no longer here. Name a Guardian for your minor children. The Will is the only way in Georgia to name a Guardian for your minor children. So, if you have minor children, get a Will. This is just as important as your Last Will and Testament. This allows someone to access your medical records, pay your bills, or talk to the doctor on your behalf if you ever get to a point where you are unable to do so yourself. 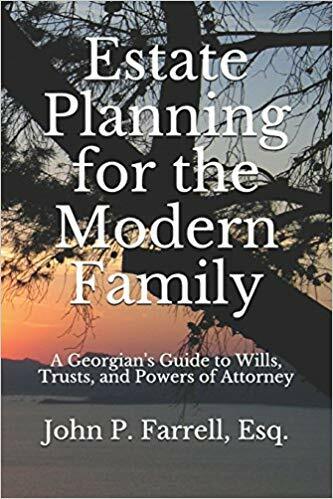 It is always a good idea to speak with an experienced estate planning attorney when discussing your estate planning needs. We would be glad to assist you in this journey. Feel free to call us at (678) 809-4922 for your free consultation. Previous Previous post: How Long Should You Keep Important Documents? Next Next post: What is involved in estate planning?